cool so far. however i'd say that the "achievement unlocked" box is kind of intrusive, because at the end of the tutorial it gets in the way of a terminal textbox. Yeah, I noticed this a few times but forgot to move the text down. I'll fix it for the next Version. and speaking of the end of the tutorial, you don't get the "got all three cakes" achievement until you talk to the last terminal there. Based on how you interpret this, I thought of it as "complete the tutorial AND get all cakes", so I only checked on the end, then again if someone gets the third cake they pretty much completed the tutorial, and if they missed one of the other 2 cakes they would have completed the tutorial already because of the third cake. Whatever I'll change it if that makes more sense. Makes sense, however this would make gating much more complicated. This wasn't really what I was aiming for, the controls in VVVVVV seem a bit more sensitive as well, which I believe makes sense to some extent, because when there is more stuff I can do if it is not as hard as it would be in VVVVVV, or it's just because I'm less used to the controls of VVVVVV. Oh, and thanks to everyone who is playing the game. And if anyone is having problems with some of the 0.3.0 bugs I did upload version 0.3.1 where I fixed some bugs. This Guest probably isn't here anymore but... what? How do I download this fangame? or is it not done? who has recently played almost the entire game and has also provided some helpful feedback on some of the later sections. Turns out that some of the bosses in the game are way harde than I intended them to be, when I made them. And while I did beat all bosses when I made them, now that I have played them a bit again, I do see how the normal mode versions of them are definitely not appropriate for normal mode. I'll try to fix these problems once I have time for it, so it's not going to happen within the next two weeks. So if anyone intends to play this until then, maybe use the easy difficulty instead and DO NOT play on hard mode, on normal and easy you get distinct patterns, while on hard mode attacks are random. 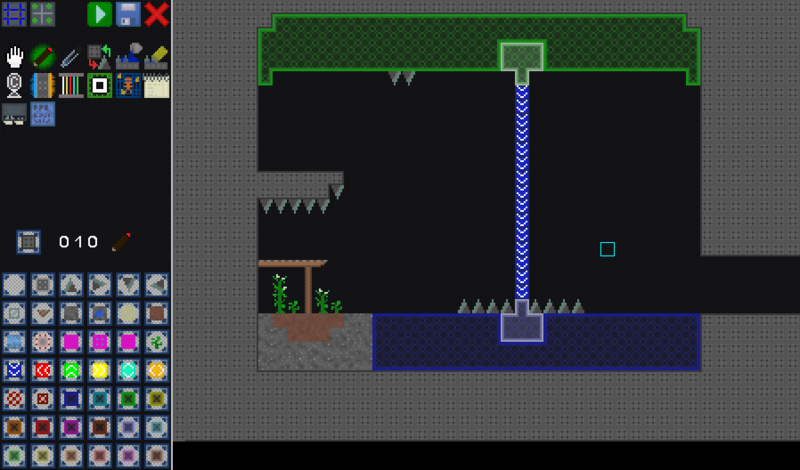 Also a quick update, since my last post here: I have since then added a level editor. Um, that post was a little old, now I know how to download it. I'm just a kid who spends his time playing. I downloaded the latest version of the game, i got it, but i never got the game, not the folder with the same name. Could you please help me? Dude, I have been trying to make contact with you in private for months now. Either by sending you personnal messages, or through email, but I have never recieved anything back for some reason. I'm definitely not trying to be agressive, or negative, but this situation is never ending, so I'm forced to cut straight to the point. Could you at least see, if you recieved anything from me ? And I mean, if you don't want to speak to me that's perfectly fine. But considering that one post you made on my topic, literally hinting at something we should discuss about, in private, behaving as such really wouldn't make sense. But anyways, this issue is most likely coming from unfortunate circumstances, such as your "personnal messages" being turned off (Just noticed that while writing... Swear those buttons under users are randomised everytime you check them). If that is the problem, could it be possible to enable it back ? Or determine another, more convenient place to talk.... Okay, over. Going to stay neutral on the post above. The download should work giving you a .jar file. This would be the game. It was written in java, so the .jar file can be run if you have java installed. You should then be able to start it by either just running it through double clicking it or if that doesn't work through the command line "java -jar VVOVOV-0.3.6.jar" (command line opened in the same directory that the .jar file is located). There isn't any sort of .exe launcher if thats what you were looking for.